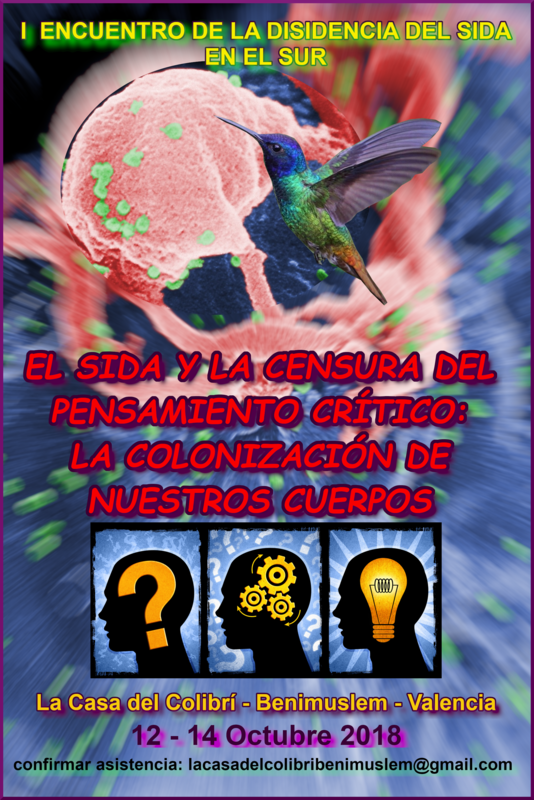 Following on from the summer conference in southern France, AIDS and the Censorship of Critical Thinking: The Colonization of our Bodies will be taking place in Valencia between October 12-14. 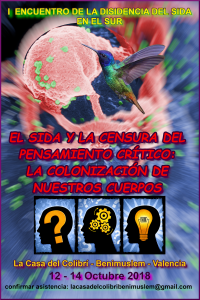 The programme is not settled but it is to include doctors, anthropologists and journalists, and quite possibly a few from the French conference (unfortunately, IRF will not be represented at this conference). Attendees should not need to worry about meals and accommodation but will need to arrange and pay for their own travel.